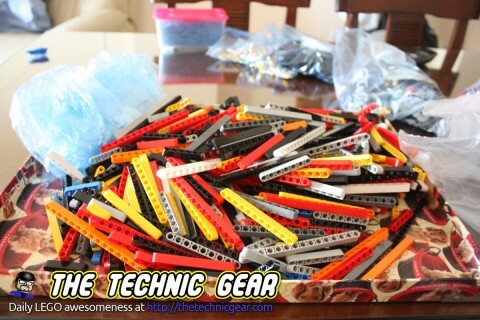 If you have several LEGO sets you have for sure faced this problem. 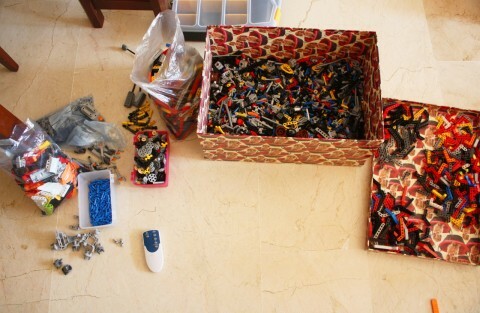 If you don’t, you will find it someday… Sorting your LEGO collection is a MUST if you want to build something new and different, also your level of understanding of your bricks will be increase. And well, it is a real pain!. 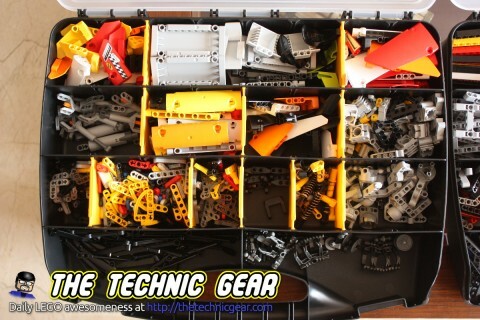 So, when I took apart all my models I filled a box like this with all the parts ( Bad idea! Keep reading ). Why it is a bad idea? Well, if sorting a single set is a pain, sorting six big sets ( Unimog was between them! ) is a nightmare. So after a few days fighting with the box ( and it contents ) I reduced it to this. And finally after two days sorting things started taking shape. I bough plastic bags and start filling them with each type of part. At first I just decided to ignore size and color just to keep the number of bags as low as possible. Did I mention I have a very small working surface? So do you imagine the next step? No? Right! Once all was sorted I empty again each bag on the tray. 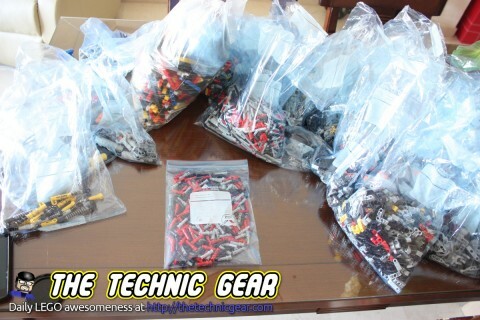 Now I just needed to sort the big bags with several size of the same part. So with the help of several ( I used three packs of 20 bags ) freeze plastic bags with zip I was able to get this. 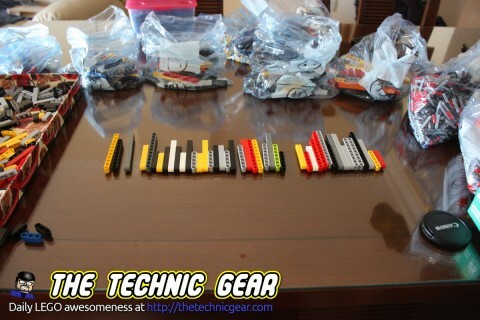 As you see I used some small tupperware style containers for the smallest parts: pegs, and a big LEGO blue box for storing tires and tracks. But still I wasn’t happy with the result. It was much better but each time I needed a beam I have to repeat the whole process… so I took my car and drive to my favourite hardware shop and bought two more extra plastic organizers. So these are my organizers right now. So what is the next step? You guessed it! Tag them. I will add some tags to identify the bricks that are in each box so it is easier to keep them sorted. 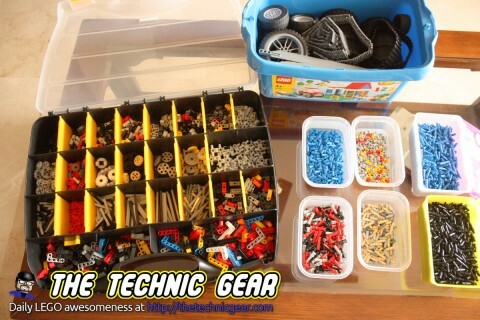 So, this is my easy way of sorting my LEGO collection. How do you sort yours? The container store has a bunch of lego-branded sorting bins and storage solutions. The bins can be pulled out and will stay in place in the unit, or you can remove them entirely with very little effort, and keep a handful of bins you use all the time at the ready on your work surface while you’re building. You can organize the bins – shuffle them around in the grid – until you find a layout that works well for you when building. For example I keep all the pins in separate bins, across the top row of one of the units. Below that, the smallest axle joiners and such. Below that, larger complex pieces. And below them, beams. Another cabinet has gears on top, then transmissions and housings below that, etc. 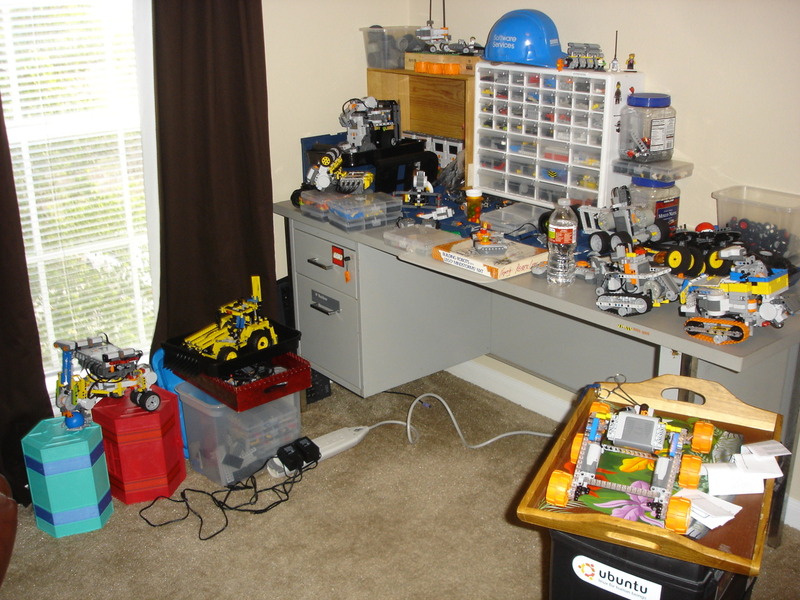 I wish this comment box would allow me to attach a foto – I’d love to share a pic of my semi-well-organized LEGO work area. 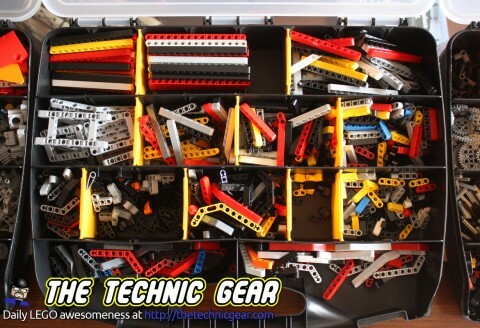 Oh – one more thing – I keep my unfinished “build” in various trays. That way, even if I leave it half-disassembled, all of the loose parts are actually still associated with that particular project. Only if I decide to part out the project do I return the various parts to their bins in the cabinet grids. I checked the bins solutions too, but my working area isn’t as big. One thing really I don’t like much of my solution is that I can’t rearrange stuff easily, but at least it keeps compact that it was my main requirement. I have an idea. Especially if you own your own home, this might work. When I was young, my dad and I setup a train – a BIG train. It was on a 6×8 foot piece of thick plywood, in the basement. It had a green felt mountain in the middle, and the station, and the trainyard, and the controller, and all that stuff. Well, not really – it was on ropes, and it could be pulled up so it was only an inch or two below the ceiling of the basement. 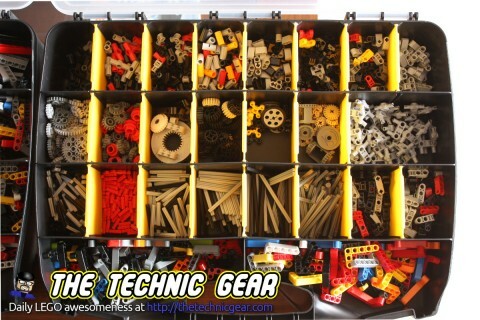 So, if you have a basement or garage area where you could do your LEGO building… you might just design and build yourself a child-proof (when it’s closed) raisable/lowerable build station. 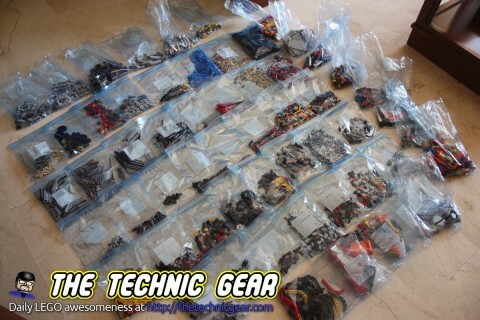 I only have 3 Technic sets (including the LEGO Mindstorms NXT 2.0), so sorting isn’t much of a problem. 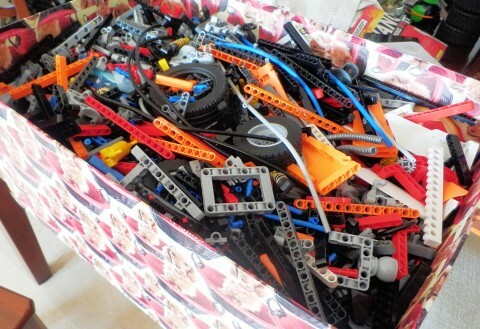 For our regular LEGOs, we use bins like Paul suggested. 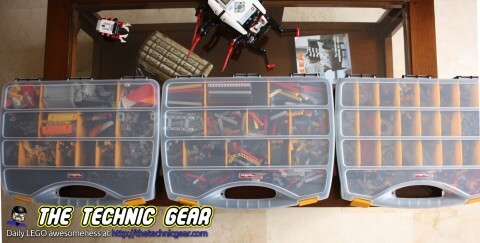 For my Mindstorms set, I use a plastic sorting bin like you show here.